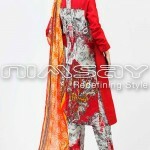 Nimsay Is a well known fashion brand in the fashion of the Pakistan and also offer us latest and new designs of dresses collection for all season and event. 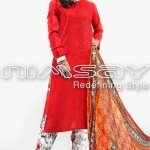 Freshly it also launched new summer dresses collection for women.In this collection shows new fashion dresses designs for women.Nimsay has both long and short shirts for in this collection. Nimsay has paired paired short embroidered lawn shirts with churidar pajama, while long shirts are looking awesome with palazzo trousers. 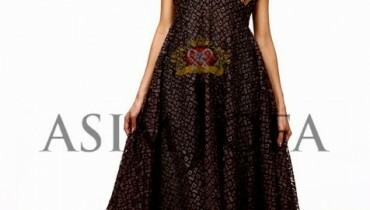 Blooming colors, delicate prints and colorful detailed embroidery have made this collection worth buying. If you want to look fashionable and inspiring, then we recommend you to try, Nimsay Embroidered Lawn 2014.